Resistance training: a fountain of youth! "normally, adults who are sedentary beyond age 50 can expect muscle loss of up to 0.4 pounds a year. That only worsens as people age. But even earlier in adulthood - the thirties, forties and fifties - you can begin to see declines, if you don't engage in any strengthening activities." I'd venture to say that most of us want our "golden" years to be, well, golden. In other words, it would be ideal if quality and quantity of life marched along at the same pace. However, for many people, an increase in quantity of life comes with a relatively rapid decline in quality of life. Until fairly recently, muscle atrophy was thought to be a natural part of aging and that this decline was inevitable and, more importantly, irreversible. However, research has repeatedly shown the opposite to be true! In one 2007 ground breaking study of resistance exercise and how it reverses aging in human skeletal muscle done by S. Melov, et. al. it was demonstrated that muscle decline is reversible with weight training and the changes occur at the gene level! This is exciting because it proves that performing resistance training really does offer us a fountain of youth so to speak. What does all this mean for us in a practical sense? Call me Captain Obvious, but I'll state it none the less - first and foremost, we have to perform resistance training! Some of you might be saying, okay, already, I've got the message. Resistance training is important, but what should I be doing in my resistance training program? Good question! Now, it may surprise you as it did me to learn that even elite athletes like the pro football players Mark works with may have to return to the basics. Mastery of these movement patterns is critical to the prevention of injury, and to the ability to train to full potential. This applies to all of us - from weekend warriors to elite athletes and everywhere in between. Training movement patterns is a more efficient way to train the body than isolation training because it mimics the way our bodies perform in our activities of daily living. Ultimately this is what healthy aging is all about - training our bodies to be efficient in performing activities of daily living. If you're over age 50 and/or previously sedentary consider starting a resistance training program that uses your body weight. For example you can start with simple squats like chair squats and lunges (knees permitting), etc. NOTE: exercises may be challenging for those new to resistance training. Start slow and with the basics. This means performing stationary exercises in one plane and then progressing to movements that incorporate more weight and multi-planes. Always consult your physician before beginning any exercise program. The next post will go into more specifics about particular functional resistance training exercises. For now suffice to say, just start training because the evidence is clear. Resistance training really can be the fountain of youth! Adding functional resistance training exercises is an excellent way to increase the strength, agility and stability needed to perform activities of daily living and to maintain or improve our quality of life as we age. Still not convinced? Check out this excellent article by Dr. Wayne Wescott found here, which details the many health benefits gained through resistance training. 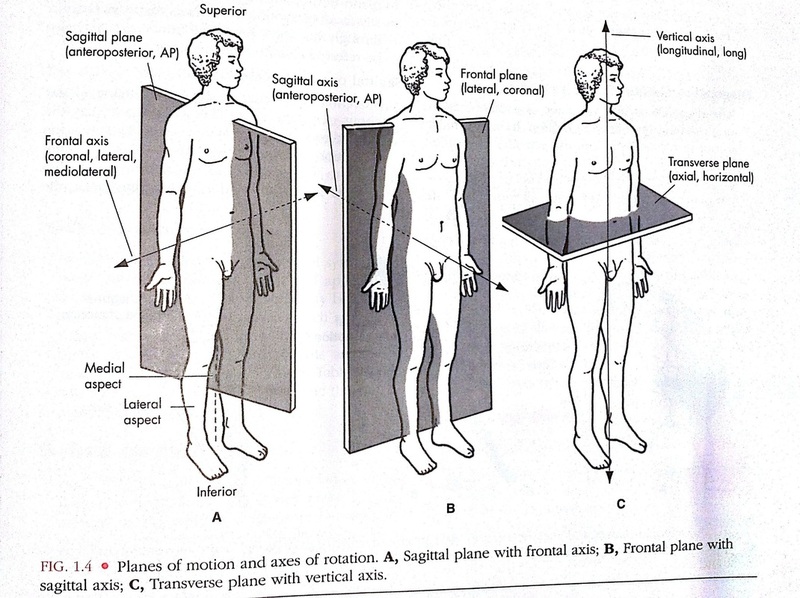 (1) Source: Reynolds, Gretchen. “Aging Well Through Exercise,” The New York Times. When you hear health messages about cancer or any disease do you find yourself filtering it out? If you do, this next sentence might cause you to stop reading, but please continue because there's a point I'm hoping to make. One out of eight women will get breast cancer in their lifetime (American Cancer Society). Are you still reading? That's good, because the purpose of sharing that statistic was to illustrate that even though we frequently hear these kinds of health messages, we don't always feel connected to them. Perhaps you might be thinking as I did when hearing those numbers, wow, that sounds like a lot, but I'm not going to be the one. Unfortunately, this kind of thinking often translates into inaction. Statistical health data, although sometimes shocking and troubling, may not be meaningful enough to inspire change for some of us. If you find that you aren't motivated by statistics, you're not alone. Evidence suggests that health messages which highlight health consequences and the numbers of people who get disease aren't as effective as was once thought. What can be more successful in motivating change in health behaviors are messages that focus on causes and solutions for disease (McKenzie). Obviously there is no clear solution to breast cancer at this point in time. However, there is a great deal of data available that is linking lifestyle factors with increased risk. There may be no sure way to prevent breast cancer yet. However, this doesn't mean we're powerless. Our best prevention strategy is to take steps to reduce our risk factors as much as possible. So, let's take a closer look at the modifiable risk factors. In other words, the things we can do to lower the probability of becoming one out of eight women who will get breast cancer. Avoid weight gain and obesity - Exercise and healthy nutrition are the keys. According to the National Cancer Institute (NCI), a gain in body mass index (BMI) may substantially increase a women's risk for breast cancer, especially after menopause.The NCI states, " In a recent analysis, women who reported a gain in BMI of five points or more between age 20 and postmenopausal age (ages 55-74) had nearly twice the risk of developing postmenopausal breast cancer compared to women who maintained their BMI during the same time period." You can read more about BMI in this post here. Eat plenty of fruits and vegetables - Preferably organic. Organically grown produce lowers exposure to pesticides which can effect hormone levels, particularly estrogen dominance. Have your vitamin D levels checked - A low level of Vitamin D is linked to increased risk for breast cancer. Reduce chronic inflammation - I've blogged about this very important element of cancer prevention here, but simply put, if our immune system is preoccupied and overwhelmed responding to environmental and food stressors, it's possible that it can miss the angiogenesis of a sneaky cancer cell. Here's some additional information from Dr. Fuhrman's informative website which explains how to support our wellness with healthy nutrition. The foods we eat can either support or oppose our bodies. Experts now agree that there are even so-called power foods that do an especially good job of restoring our bodies. So, rather than tuning out messages about disease, consider the strategies that you can incorporate into your lifestyle that will help prevent illness from starting in the first place - because "an ounce of prevention is worth a pound of cure." McKenzie, J. An Introduction to Community Health, 5th ed. When it comes to maintaining or reducing body weight, the key to long term success is to choose foods with a low energy density. What is energy density in foods? The Center for Disease Control defines it as “the amount of energy or calories in a particular weight of food.” This is generally represented as the number of calories in a gram (kcal/g). This brings me to the law of thermodynamics, or energy balance equation, which I’ve discussed in a past post here. Energy balance - Understanding this concept is important to successful weight loss, gain or maintenance. So, here’s a brief review: if you consume more calories than you burn, you will gain weight. If you burn more calories than you consume, you will lose weight. However, a big caveat: while a calorie is a calorie, the nutrients you consume affects metabolic and hormonal secretions which may cause you to store fat instead of utilize the fat for energy, and vice versa. The types and varieties of food and beverages you ingest effect weight management, but more importantly, they are essential to your total wellness. Understanding caloric need - Exercise is a variable that increases caloric expenditure and metabolism. In order to determine an estimation of the calories you need to consume to gain, maintain or lose weight, it's helpful to calculate your total daily energy expenditure (TDEE). You can use the calculator found here, which calculates basal metabolic rate (BMR) using the Mifflin-St Jeor equation, and then applies an activity multiplier. It's best to underestimate your acitivity level when using the calculator if you're looking to lose weight because this puts you on the conservative side of daily caloric needs. Then, if you want to calculate how many calories you should eat daily to achieve weight loss at a steady, healthy pace, you subtract 15-20% from your TDEE number. Conversely, if you're looking to gain weight, add 15-20% to the TDEE. It's not recommended that you subtract more than 25% from your TDEE calculation. You don’t want your calorie intake to drop to an unhealthy and unsustainable level. So, it’s a win/win situation when you choose low energy/high nutrient dense foods because not only do they contribute fewer calories to the energy balance equation, they also provide greater nutritional value per calorie, which is especially beneficial for our health. These foods are the best of both worlds so to speak. Arguably, it might not seem equitable to compare a beverage with a food, but watermelon is 91% water by weight, so it's not too biased of a comparison. Remember, we are comparing identical calories per serving here. The numbers speak for themselves. 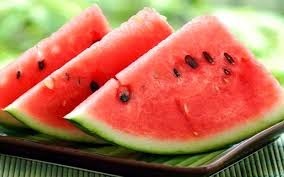 If I’m trying to consume fewer calories in an effort to lose weight, watermelon is the better food choice by far. Where’s the Vitamin A and C in the soda? The numbers indicate a lot of sugar, no fiber or protein. The soda simply contains what are referred to as "empty calories" which provide energy, but no nutrition. So after I drink my soda my body gets an injection of simple sugars and a blast of salt. Ironically, the salt can make me thirsty and this leads me to drink another soda later, but that's for another post! On the other hand, the 2 wedges of watermelon provide 67% of the daily requirement of Vitamin A and 78% of Vitamin C. That’s some good stuff! Plus, the 2.3 grams of fiber in the watermelon will help me feel fuller for a longer period of time than the soda, which has 0 grams of fiber. I might even feel full after eating 1 wedge of watermelon. Therefore, I can eat less of this food and decrease my calorie intake while keeping my hunger satisfied for longer than I could with a soft drink. This brings me to my next point, which can be pivotal to weight loss success. Eat more to lose weight? – Really?! Usually losing weight is equated with starving oneself and eating minuscule portion sizes, right? However, foods with a low energy/high nutrient density typically contain fewer calories per serving than the same amount of a high energy/low nutrient density food and they provide more vitamins, minerals and also phytochemicals. You can read more about phytochemicals and their amazing health benefits here. Once again, the data doesn’t lie. As the above comparison shows, I would have to eat a whopping 11 cups of chopped kale to equal the amount of calories I would consume in a medium serving of fries! If I’m trying to lose weight, the good news is that I can eat more kale while consuming far fewer calories than I would if I were to eat the French fries. This means I will feel fuller for a longer period of time. I’m also fueling my body with less unhealthy fats and far more nutritional value. Like I said before, it’s a win/win. Move over vegetarian, I'm a nutritarian - So are you ready to transition to a nutritarian diet which is eating more low-energy/nutrient dense foods? If you said yes, congratulations! You're making a good choice for your health. Are you unsure how to decide which foods to choose? A good starting point to help you in your search to find the most nutrient dense foods is to check out the ANDI guide. ANDI stands for aggregate nutrient density index and was developed by Dr. Joel Furhman. This is from Dr. Furhman's site: "Adequate consumption of micronutrients – vitamins, minerals, and many other phytochemicals – without overeating on calories, is the key to achieving excellent health. Micronutrients fuel proper functioning of the immune system and enable the detoxification and cellular repair mechanisms that protect us from chronic diseases. A nutritarian is someone whose food choices reflect a high ratio of micronutrients per calorie and a high level of micronutrient variety." With this in mind, the ANDI guide categorizes whole foods and then scores them on a scale from 1 to 1000 based on an extensive range of micronutrients, including vitamins, minerals, phytochemicals and antioxidant capacities. In addition, Dr. Furhman's original ANDI guide has been updated to reflect a more accurate picture of each food's nutritional qualitywhich now considers certain beneficial phytochemicals, such as angiogenesis inhibitors (i.e. cancer prevention, read more here), organosulfides (found in onion, garlic and cruciferous veggies), isothiocyanates (organosulfur compounds found in cruciferous veggies and are among the most effective cancer-prevention agents known), and aromatase inhibitors (suppress the synthesis of estrogen and thought to aid in the prevention of breast cancer). The ANDI guide can be a useful tool in your determining healthy food choices, but it isn't the holy grail. I like what Dr. Furham says and I believe his suggestion is the best advice when it comes to choosing foods. He says: “…nutrient density scoring is not the only factor that determines health benefits… if we ate only foods with a high nutrient density score, our diets would be too low in fat. For that reason we have to pick some foods with lower nutrient density scores.” Also, he notes that if thin individuals or those who are very active ate only foods with the highest nutrient density, they would become so full from fiber that it's likely they would be unable to meet their caloric needs. Remember my kale example above? One can only eat so much fiber. Balance and variety are key to consuming the greatest number and variety of micronutrients. You may already know that kale is a better food choice than French fries, so if you operate on the simple premise that your diet should emphasize fruits, vegetables, and whole grains and not prepackaged, processed or fast food, you probably don’t need the ANDI guide to tell you where to get the most nutritional bang for your buck. However, if you’re uncertain as to whether or not you’re making the best food choices for your health, the ANDI rankings are a good starting point. Should we avoid GMO's? I listen to my gut. 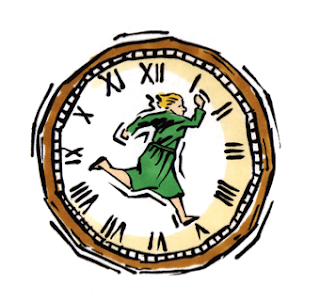 There's an English language idiom that's used to encourage someone to trust their instincts or intuition. It's "go with your gut." This expression is often used figuratively, but I've come to think of it in a more literal sense. When it comes to my health, I am finally learning to listen to my gut and give it the credence it deserves. How about you? Is your gut trying to tell you something? What's in your gut? - Although the word gut sounds short and simple, the system it describes is actually very complex and is also absolutely critical to our survival. In fact, the gut is so important that it has its own "brain" - the enteric nervous system (ENS) (3). The gut, or gastrointestinal (GI) system includes the stomach, large intestine and colon, among other things. The major events of digestion and food absorption occur in the small intestine, which is covered in tiny little projections called villi that aid in the absorption of nutrients from the foods we eat (3). Problems can occur when these villi and the gut lining become compromised (3). 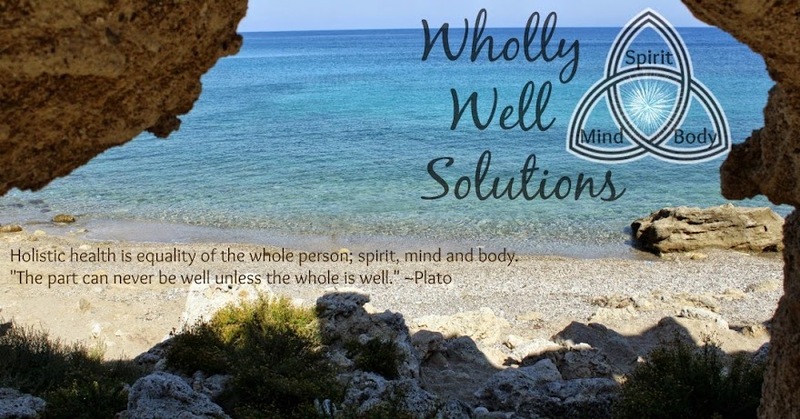 Wellness and the gut - When it comes to diagnosing disease, it seems wisdom dictates the symptoms are related to the location where they are present. For example, my Mom had eczema when she was a child. Since the rash was on her skin, the doctors called this a skin disorder. Thankfully, Western medicine has progressed since then and recognizes that there is more to the picture. The diagnosis of disease is now taking a more holistic approach, recognizing that the body is an integrated system and a symptom in one location could actually stem from something occurring in another location. Applying this understanding to my Mom's eczema, doctors now see a link between eczema and the immune system, even though the symptoms appear on the skin (1). So, clearly this isn't just a skin disorder. foods. The terms genetically modified (GM) foods, genetically modified organisms (GMOs), genetically engineered (GE) foods, and bio-engineered foods, all describe products that have had "foreign genes (genes from other plants or animals) inserted into their genetic codes" (5) "creating combinations of plant, animal, bacterial and viral genes that cannot occur in nature or in traditional crossbreeding" (4). I'm not eating GE foods, am I? - You may be surprised by just how much of the food in US grocery stores comes from GE crops. I know I was! 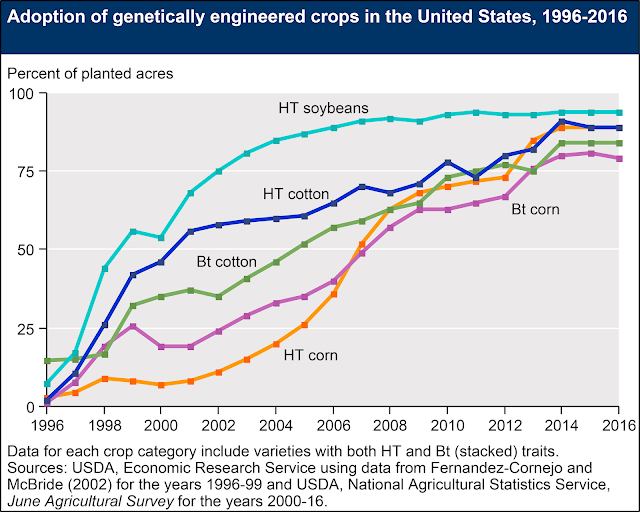 In the US there are 4 commonly grown GE crops: corn, soy, canola and cotton. The USDA’s Economic Research Service estimates that 90 percent of the corn grown in the United States is genetically modified (7) (at time post was written). So, if you're eating corn that was not organically grown you are eating GMO's. Maybe you're careful to not eat GE corn. Good! However, if you eat animals that eat feed that contains GE corn, you are consuming GMO's. Maybe you don't eat meat or GE corn? Well, if you are eating processed foods (which usually contain high fructose corn syrup) you are consuming GMO's. In fact, about 70 percent of processed food in US supermarkets contains GE ingredients, according to the Center for Food Safety (8). "Bt has to be eaten [by the insect] to cause mortality. 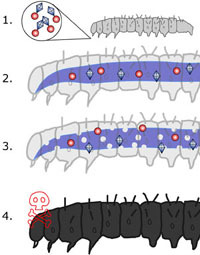 The Bt toxin dissolve in the high pH insect gut and become active. The toxins then attack the gut cells of the insect, punching holes in the lining. The Bt spores spill out of the gut and germinate in the insect causing death within a couple days." Organic farmers have used Bt topically as a pesticide for years. Splicing the Bt genes into a plant is a relatively new occurrence. This subject is too lengthy to discuss in one post, so I will wrap this up for now and conclude next time with a discussion of what the recent research reveals about how consuming GE foods impacts our gut and overall health. In the meantime, consider this quote from another Greek power thinker named Aristotle - "Intuition is the source of scientific knowledge." What do you think? Are you going with your gut? "The journal Food and Chemical Toxicology retracts the article “Long term toxicity of a Roundup herbicide and a Roundup-tolerant genetically modified maize,” which was published in this journal in November 2012. This retraction comes after a thorough and time-consuming analysis of the published article and the data it reports, along with an investigation into the peer-review behind the article. The Editor in-Chief deferred making any public statements regarding this article until this investigation was complete, and the authors were notified of the findings." Hankering after a crunchy, savory snack? When this craving hits me I usually try to satisfy it with some organic air-popped popcorn, tossed with a little truffle oil and topped with truffle salt. However, this spring my friend Ann’s amazing organic garden has produced a serious crop of rainbow Swiss chard and kale, and she generously shares her bounty with me. Just look at the size of those rainbow chard leaves! Plus, I received a food dehydrator for Mother’s Day which I’m excited to break in. So, today I thought I’d try my hand at making some raw kale and chard chips. I knew that kale and Swiss chard were healthy food choices, but I didn't realize the magnitude of their nutrient value. Kale and Swiss chard are leafy greens that are truly nutritional powerhouses. To say that their health benefits far surpass popcorn is putting it mildly! If you’re trying to eat more nutrient dense foods, these are two greens you must not pass up. Here are a few reasons why: Swiss chard, for example, has been found to help regulate blood sugar in studies done on animals (1). It’s also been shown to help pancreatic cells regenerate (1). Swiss chard is an antioxidant, an anti-inflammatory and supports bone health as well because of its high supply of calcium, magnesium and Vitamin K (1). 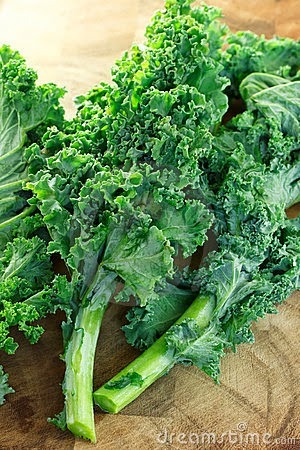 Kale is a cruciferous vegetable. Research suggests that we should include cruciferous vegetables in our diet "2-3 times per week, and make the serving size at least 1-1/2 cups. Even better from a health standpoint, enjoy kale and other vegetables from the cruciferous vegetable group 4-5 times per week, and increase your serving size to 2 cups" (1). Included among the many nutritional benefits of kale are its: antioxidant, anti-inflammatory, cardiovascular support and anti-cancer properties which are due to nutrients in the form of glucosinolates (1). So, adding raw kale and chard chips to your list of healthy raw snacks is definitely a smart choice. Each is low in fat and cholesterol, but an excellent source of fiber. Besides calcium, iron and vitamins A and C, these greens also supply vitamins E, K and B6, thiamine, folate, riboflavin, magnesium, manganese and potassium (3). If you want to learn more about the nutritional value of the foods you're eating, check out these excellent sites - USDA Nutrient Data Lab (NDL) and the World's Healthiest Foods.org. For more detailed information about the nutrients found in raw kale and chard, click here for kale and here for chard. Compare with air-popped popcorn here. I started with about 12 leaves of kale and a big bunch of chard. I cut the large center ribs out of the kale and chard and saved the kale ribs to grind in my Vita-mix smoothie and the chard ribs for another recipe. I enjoy these sautéed in olive oil with some chopped fresh garlic. Next, I washed the kale and chard leaves and laid them out on paper towels to dry. Then I put the kale leaves in a large bowl, along with 1 T (15 ml) grapeseed oil, 1 t (5 ml) garlic powder and ground in some pink Himalayan sea salt to taste. Sort of hand kneaded the leaves in this mixture and then spread them on the lower tray in the dehydrator trying not to overlap too much. I’m using a Nesco dehydrator. Now, for the chard leaves – I cut these into approximately 3 inch square pieces and put them in a large bowl with 2 T (30 ml) truffle oil, (since I had more chard leaves I used more oil, but I will use less next time), 1 t (5 ml) garlic powder and ½ t (2.5 ml) truffle salt. Tossed the leaves with my hands to mix and then spread them on the remaining trays. Set the temp to 115 degrees F or (46 C) and set the timer for 6 hours. Note: A few food bloggers had mentioned that dehydrating certain foods can really stink up the house. So, as a prevention I put the dehydrator in the utility room, closed the door, and turned on the exhaust fan. I didn’t find the odor to be overly offensive, but there was definitely a smell. Next time I make these chips I'd like to try nutritional yeast for a cheesy chip and maybe include some turmeric for extra health benefits and nutritional value. Studies show that turmeric may help fight infections and some cancers, reduce inflammation, and treat digestive problems. Food really is our best medicine! Enjoy. 6/18/13 Update: These didn't store well for me. I put them in a sealed glass container, but they didn't stay crispy, so I ended up chopping the chips up and putting the into a frittata. I also think they were a little to oily and salty so I will reduce both of these ingredients next time. Breast Cancer Awareness Month: Seeing red over pink! It's that time of year when I see red, even though October is all about the color pink. That's because it's Breast Cancer Awareness Month. 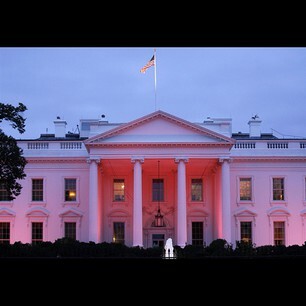 Here in the states it's referred to as National Breast Cancer Awareness Month (NBCAM), and even the White House is wearing pink! This whole pink thing is really getting old and frankly, since going through my own breast cancer experience, I find I'm actually angered by it all. Now that I've gotten that off of my, er, dare I say, chest - I'll get straight to the issue. How could a positive thing like raising awareness about cancer rouse me to anger? Well, before I tackle that question, I want to be clear that this isn't going to be a post bashing America, or medical experts, researchers, charities or any others that have made a positive difference in the diagnosis and treatment of breast cancer or any cancer. My family and I have personally benefited from these things, and I am especially grateful for early detection. My hope is that this post will provide some food for thought. Experts agree that an increased awareness about a disease may encourage a person to receive medical screening that can lead to early detection (6). Obviously, this is a good thing. But after more than 25 years of raising awareness, is NBCAM actually impacting the early diagnosis of breast cancer? A recent study published in the Journal of Health Economics researched this question and they found the answer is no, not any more (1). So, if NBCAM is no longer effectively raising public awareness about breast cancer or encouraging early detection via screening, than why is it we are seeing more pink than ever? I believe it's because breast cancer has turned into a profit generating industry, and I'm not alone in this thinking. Benjamin Franklin's quote holds true for those of us health seekers doing our best to prevent disease. But how does this resonate with, for example, a pharmaceutical company, whose bottom line is to make a profit? Let's face it, there's just not much money to be made in preventing breast cancer, or any cancer for that matter. Consider the primary breast cancer treatments to date: slash, burn and poison, otherwise known as surgery, radiation and chemotherapy. In a previous post I discussed an instance where a pharmaceutical company that produced a chemotherapy drug also made a bovine growth hormone being used in dairy cows. This hormone has been linked to an increased risk of breast cancer (5). But, hey, we've got a drug for that. "The cancer industry consists of corporations, organizations, and agencies that diminish or mask the extent of the cancer problem, fail to protect our health, or divert attention away from the importance of finding and working to prevent the disease. This includes drug companies that, in addition to profiting from cancer treatment drugs, sometimes produce toxic chemicals that may be contributing to the high rates of cancer in this country and increasing rates throughout the world. It also includes the polluting industries that continue to release substances that are known or suspected to be dangerous to our health, and the public relations firms and public agencies that protect these polluters. The cancer industry includes organizations like the American Cancer Society that downplay the risk of cancer from pesticides and other environmental factors, and that historically have refused to take a stand on environmental regulation. " (3). So what does National Breast Cancer Awareness Month (NBCAM) have to do with this? Well, let's see. According to Wiki, NBCAM "is an annual international health campaign organized by major breast cancer charities every October to increase awareness of the disease and to raise funds for research into its cause, prevention, diagnosis, treatment and cure. The campaign also offers information and support to those affected by breast cancer. As well as providing a platform for breast cancer charities to raise awareness of their work and of the disease, BCAM is also a prime opportunity to remind women to be breast aware for earlier detection." This sounds great doesn't it? Well, if we look a little deeper, we find that NBCAM was formed by Imperial Chemical Industries, the creator of Tamoxifen, a breast cancer treatment drug. In the 90's, Imperial Chemical Industries spun off Zeneca Group. Then Zeneca merged with Astra and became Astra Zeneca, which formed a non profit arm that is known today as AstraZeneca Healthcare Foundation, one of the largest financial contributors to NBCAM. Astra Zeneca also created and markets Arimidex, another breast cancer treatment drug. CancerCares was also involved in the formation of NBCAM. A look at their donors reveals several pharmaceutical companies as well. So, what message would you want to spread if you were a drug manufacturer financially invested in breast cancer treatment medications? Probably not prevention. I do want to acknowledge again that cancer treatment drugs are not bad. I'm just saying that it's a fact that pharmaceutical companies spend a lot of money on the research and development of new drugs. Forbes published an article earlier this year that puts the dollar amount between a high of $12 billion and a low of $55 million (4). Considering the magnitude of expense to produce a drug, pharmaceutical companies must be under an enormous amount of pressure to deliver a drug that will generate revenue and for that they need a disease to treat. As I said earlier, there's no profit in prevention. This brings me to what has come to be known as the "pink washing" of breast cancer. You can read more about this here. The term "pink washer" has been used to describe a company "that purports to care about breast cancer by promoting a pink-ribboned product, but manufactures products that are linked to the disease" (Breast Cancer Action) (2). The point is non-profit organizations accepting donations from companies that stand to gain from their philanthropy seems to represent a conflict of interest to me. It's no wonder that little focus is being placed on breast cancer prevention! It's much more profitable for these powerful industries to keep the emphasis on looking for the so-called "cure", which is really just another word for drug treatment. Let's face it, awareness, screening and early detection is a means to find disease, not prevent it. A cure is defined as the "restoration of health; recovery from disease" (7). Primary prevention of disease is about avoiding or reducing the risk factors for disease. After over 25 years of seeing pink, I think it's safe to say we are aware of breast cancer. I can't help but wonder where we would be now if that focus had been directed toward the prevention of breast cancer. Well, we can't go back, but we can take action going forward! Let's think before we let our emotions be swayed by all things pink. Let's do some due diligence when donating to a charity. Where does our money go? How much of what is spent on that pink colored item will go toward breast cancer prevention research? What chemicals are in my pink marketed cosmetics or foods that my be adversely affecting my body? What's my elected official's stance on this topic? Let's tell those in government how we feel about these issues. Going forward we can shift the focus from awareness to prevention, because the only way we can be cancer free is by preventing cancer from occurring in the first place! (6) Planning Implementing and Evaluating Health Promotion Programs, James McKenzie, et al, 4th ed., Pearson, 2005. Increase weight loss by working out less? Saying that we can increase weight loss by working out less is ambiguous because this statement tells only part of the story. So, before you scratch that workout off your to-do list, please read on. According to a study published in the American College of Sports Medicine's (ACSM) Journal of Medical Science and Sports Exercise, it's possible to burn more calories and spend less time working out. However, the key to this result lies in how intensely you workout. Before I go on, it might be helpful to recall the caloric balance equation and its role in weight maintenance, and you can read more about this in a past post found here. Consider a typical day of food consumption and energy expenditure. Simply put, if calories eaten exceed calories burned, we end up with a calorie surplus for that day and over time this leads to weight gain. On the other hand, if we burned more calories than we ate, than over time this leads to weight loss. 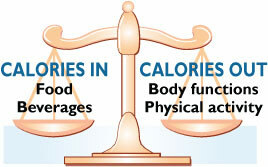 If calories in are equal to calories out, the scale is in balance and weight is maintained. Another thing to keep in mind is that we are always expending energy, even while we're resting. Back to the study - The researchers wanted to see what the energy expenditure at rest of males, aged 22 to 33, would be on a day when they performed a vigorous indoor cycling exercise bout vs. on "a controlled resting day" when they performed no exercise at all. I underlined and bold faced the word vigorous because this is very important to note. In this case vigorous exercise is defined as performing a physical activity at a level that causes you to be too out of breath to talk. Working out at this intensity level "resulted in a significant [emphasis added] elevation in post exercise energy expenditure, that persisted for 14 hours" after the exercise bout ended (ACSM). Wow! This sheds some much needed light on that rather ambiguous statement that implies we can increase weight loss by working out less. Now we understand that it's possible to decrease the amount of time we spend working out, but this must be accompanied by an increase in the intensity of our workout to a vigorous level. This is because the research suggests that we can burn additional calories above and beyond what we burned during the workout, even while we're at rest! This is sometimes referred to as caloric after burn. Here's the data: During the vigorous cycling bout these guys expended 520 calories (kcal). This isn't surprising because we all know exercise expends calories. We also know that vigorous exercise burns more calories than low and moderate intensity exercise. However, what is really exciting is that after the men finished exercising, and with their post exercise activity level restricted and monitored, they continued to burn an additional 190 calories (kcal) during the 14 hours after their workout, as compared with control days when the men were inactive. "The 190 calories burned after exercise above resting levels represented an additional 37% to the net energy expended during the 45-min cycling bout." The study's test subjects were young men, so the results may not be the same for women, or for an older population. Also, we might not be able to workout at a vigorous level for 45 minutes. Given this and other studies on vigorous intensity exercise which show the added benefit of caloric after burn, it seems beneficial to try to incorporate little bouts of vigorous intensity exercise in our workouts. But if you've never exercised, or haven't worked out in years - BEGIN SLOWLY and always consult your physician before beginning any exercise program. Obviously any exercise is better than none, but I like the idea of putting in a little more effort, giving it a little less time and reaping bigger rewards from my workout. It seems like a win/win to me and that's no sound bite. In the next post there will be some suggestions for vigorous intensity bout exercise programs and also a discussion relating to another study that shows bouts of vigorous intensity exercise have been shown to be beneficial in reducing inflammation in overweight and obese men. Chronic inflammation is linked to all kinds of health problems.